Good news to music lovers! Just as you might have started feeling overwhelmed over all music software that modern technology has to offer – we figured you probably want to get a little more familiar with what music lockers are in general and how to make the most of them. Why are music lockers so popular? Generally, a music locker, commonly known as a music storage service aka cloud music service is a safe place in the Internet reserved for safekeeping your personally owned music. No matter whether it is a popular music bought on iTunes or other widely-known stores or maybe something you have audio captured from your grandpa’s vinyl collection. Music locker is different from a common cloud service because not only it stores your music but you can play your audios from all different devices with the help of music streaming. How is music locker different from a music streaming service? The music streaming service uses the apps database to stream copies of song in their library, which music can browse and listen to when they are connected to the internet or cache some of them for an offline playback. Some music streaming service also offer users to upload store a certain amount of music. See our guide on streaming services. You don’t have enough hard disc space to keep your enormous collection and cannot tolerate it anymore. With a music locker you can stop worrying and save up disk space- that’s reason #1. A decent collection of tunes can occupy gigabytes&gigabytes. You can generally make way more use of existing resources as there servers created to store specifically your music! You have access to ALL your library ANYWAY and ANYTIME. No more erasing older albums and importing new ones via iTunes as there’s only a maximum of 128 gigs on your iPhone. Forget about that one more point in your to do list for the weekend. Using a locker for music will have you to save time. You can cache all music you need and save it for no-connection times, so no internet will never mean no music. All you need to do is hit a Save to device button. You can back up your music and make it doesn’t get harmed if your Mac breaks. Whenever you make a playlist it will appear on both your Mac and iPhone so you won’t have to repeat the procedure. Adding music to music locker is fast and easy. All you have to do is drag and drop your files and your music will be instantly synchronised across all your devices! And the last, but not the least! Using VOX Cloud will give the maximum quality of playback ever possible! What is VOX Cloud? Rather than converting music and losing all the assets you can choose VOX Cloud that allows you to upload unlimited amount of music to the cloud and play it any lossless format. What is VOX Cloud: music locker? What is so unique about VOX Cloud? 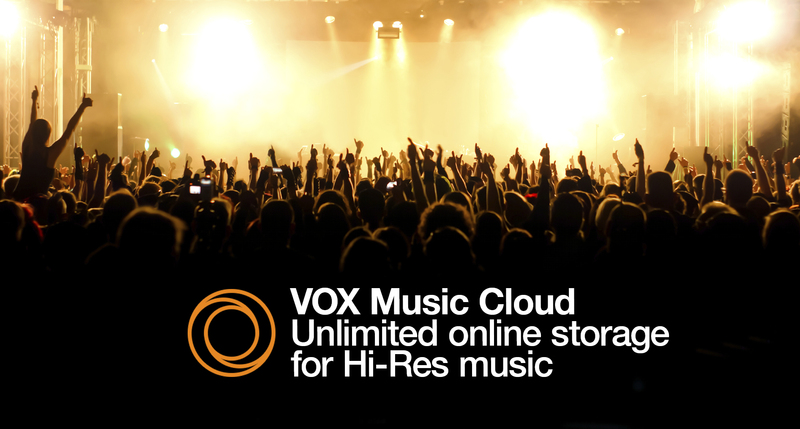 VOX Cloud gives you an UNLIMITED music storage space for all your music! Direct streaming from Soundcloud and Youtube. NOTE that Youtube streaming is available for Mac users only. Here’s one more way to make your experience perfect! Forget about switching to different applications! Simply add Youtube and Soundcloud music to your playlist and enjoy all your your tunes just one click away! A built-in radio with 30 000+ radio stations from around the world in 30 genres. I feel like you have worn the grooves out and want a refreshing break from the sounds you already know, explore the world of music and look for new findings! The most outstanding preset and manual equaliser for a music app to have, carefully masterminded by experts! Be in full control of your experience. CarPlay and AirPlay options make it even more convenient. You can listen to music in all formats, both lossless and lossy, including FLAC, ALAC, MP3, OGG, APE and many others! We just know how important the quality of sound is, that’s why have designed an app to preserve what you most value. It’s time to really hear the difference! How to use sound booster in VOX Music Player?